Total electricity generation has been hovering below 4,000MW in recent months has depleted massively to the discomfort of people. Power generation in the country plunged to 2 , 390 . 20 megawatts on Monday as the number of idle power plants rose from seven to 15, according to the latest data from the Federal Ministry of Power , Works and Housing. Total electricity generation has been hovering below 4,000 MW in recent months and stood at 3 , 741 . 30MW as of 6 am on Sunday. But the three hydropower plants accounted for more than 50 per cent of the electricity generated as of 6 am on Monday, with Kainji , Jebba and Shiroro producing 366 MW , 354 MW and 494 MW , respectively. Egbin , the biggest power station in the country , saw its output drop to 176 MW on Monday from 306 MW on Saturday. The idle plants are Sapele , Afam IV & V, Geregu , Omotosho , Geregu NIPP , Alaoji , Omotosho NIPP , Odukpani NIPP , Ihovbor NIPP , Gbarain NIPP , Okpai , Afam VI , AES , ASCO and Rivers IPP. 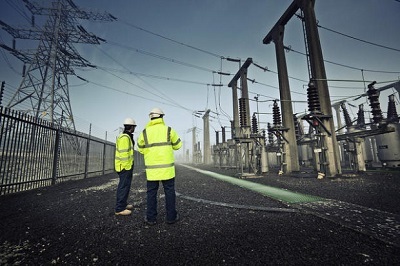 The PUNCH had reported on Monday that electricity generation companies in the country were saying that their plants were being forced to operate below their optimal capac ity levels.The Executive Secretary, Association of Power Generation Companies, the umbrella body for the Gencos, Dr Joy Ogaji , in an emailed response to questions from our correspondent, attributed the problem to transmission and distribution. She said, “Specifically , generation companies are pinned down by some operational impediments . The frequency of instructions to either increase load or decrease load ( ramp up and ramp down) and, in some cases, shut down, has induced damaging stresses to the components of the machines . “These instructions, reflective of the grid behaviour, are subjecting key electrical components of the power plants to operational stresses. Our available generation has always been steady between 7 , 500 MW and 8 , 000 MW ; you can check the records at the National Control Centre , Osogbo.